At Dunkin' Donuts®, we are committed to serving you fresh coffee no matter what time you enter one of our restaurants. We want you to experience that same freshness at home with our 2 ounce mini-bricks of ground coffee. Order a 48-pack of Original Blend Ground to have an ample supply for your kitchen or workplace. These convenient bricks offer you the freshest taste possible with at-home brewing. Our Original Blend features a beloved mix of 100% Arabica beans, which the industry regards as a superior grade of coffee, that offer the soothing aroma and rich flavors you adore. Americans choose this blend every day because of its unwavering quality. Our customers were thrilled when we started offering DD® coffee in our restaurants in 2007. Now we provide you with a fresher way to drink our blend at home. These 2 ounce mini-bricks preserve the grinds for much longer than a traditional 1 pound package. Once you open a bag of ground coffee, it lasts for about seven days under optimal conditions. Our mini-bricks stay fresh as long as they remain sealed, so you don't have to rush to finish all of the coffee in a week. 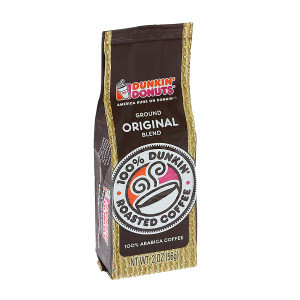 Each bag contains the perfect amount of grinds for brewing an entire pot of delicious DD® coffee, and our 48-pack provides you with a total of 6 pounds. Place these mini-bricks next to your coffee-maker so you're always ready to jump-start your day with the fresh taste you love. With convenient travel-sized bags, you can bring a few to work to enjoy fresh coffee at your desk. 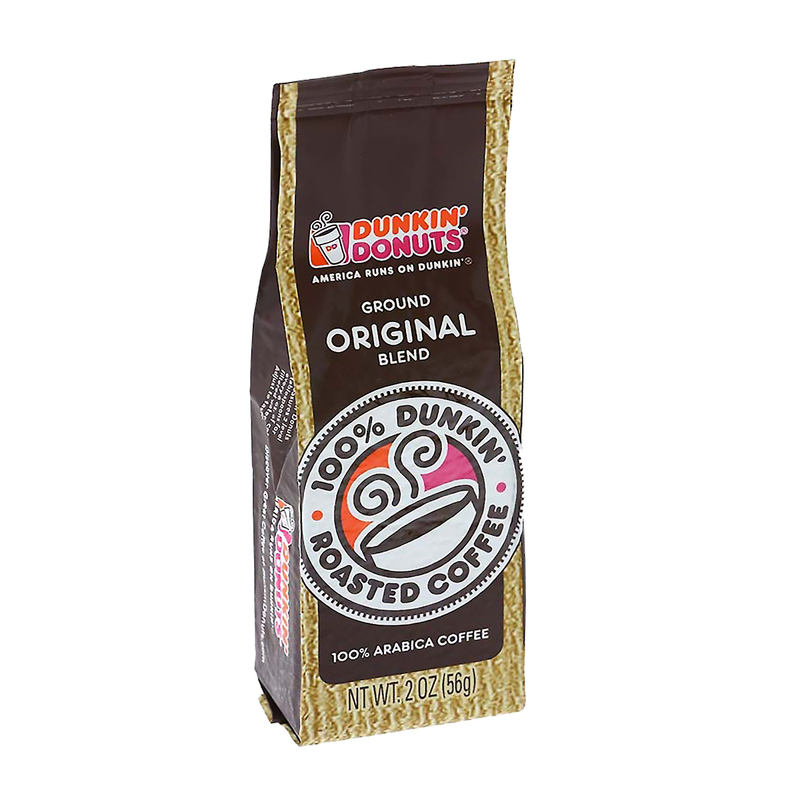 Order Dunkin' Donuts® mini-bricks online to experience our delicious blend with the quality we intended.